Have at least one chicken leg for each person. 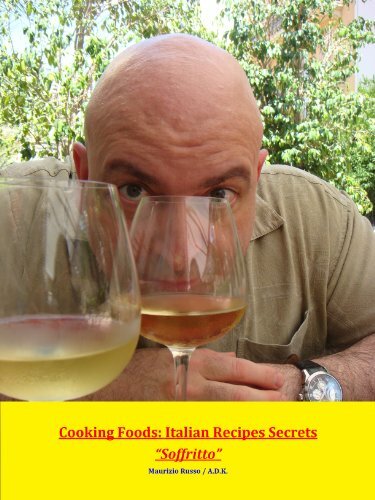 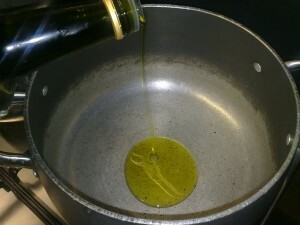 Put two-three spoons of extra virgin olive oil to heat. 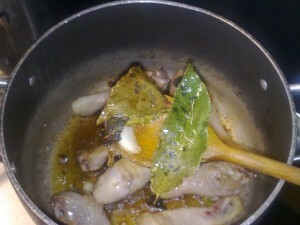 Put garlic, laurel and sage to fry. Raise the fire and add the chicken and let roast for 5-8 minutes, turning upside down the chicken every three-four minutes. 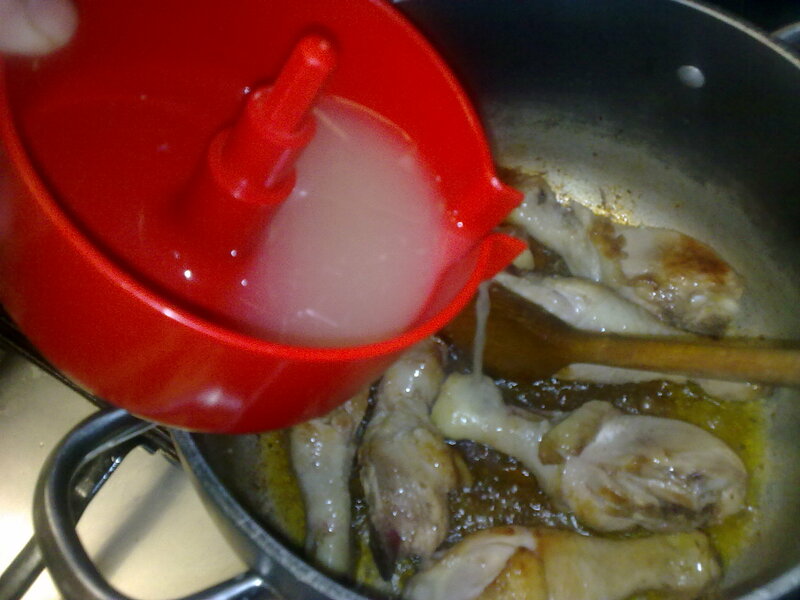 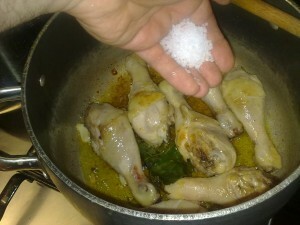 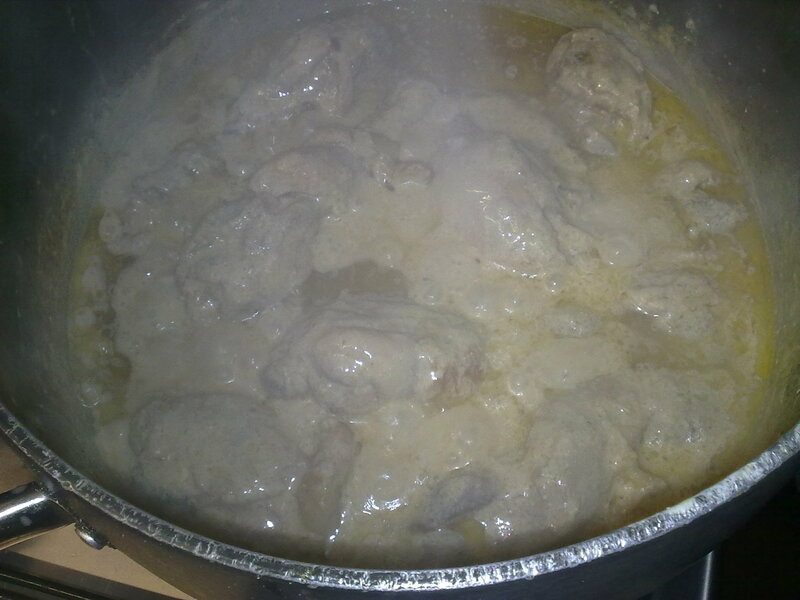 As the chicken start to darken add two-three pinches of marine salt. 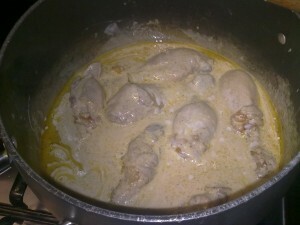 Keep cooking for 12-15 minutes turning the chicken every three-four minutes. 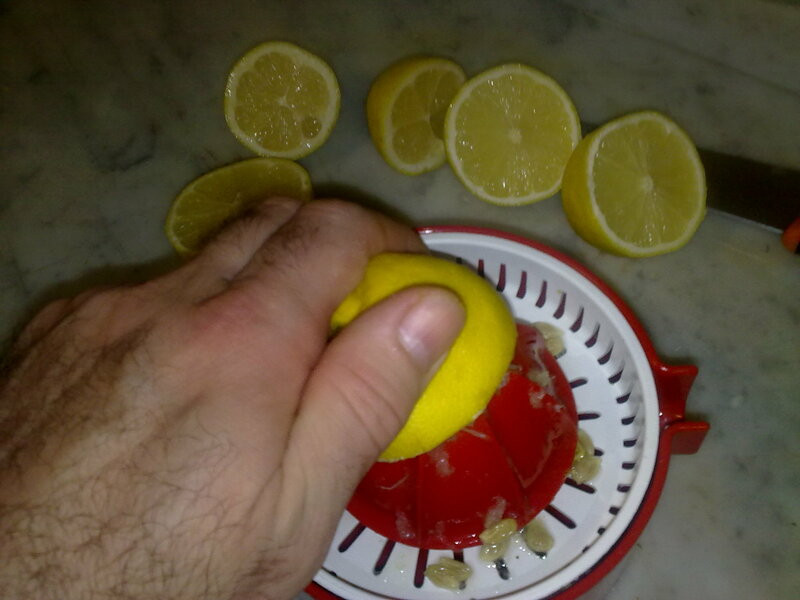 Squeeze the lemons to get the juice. 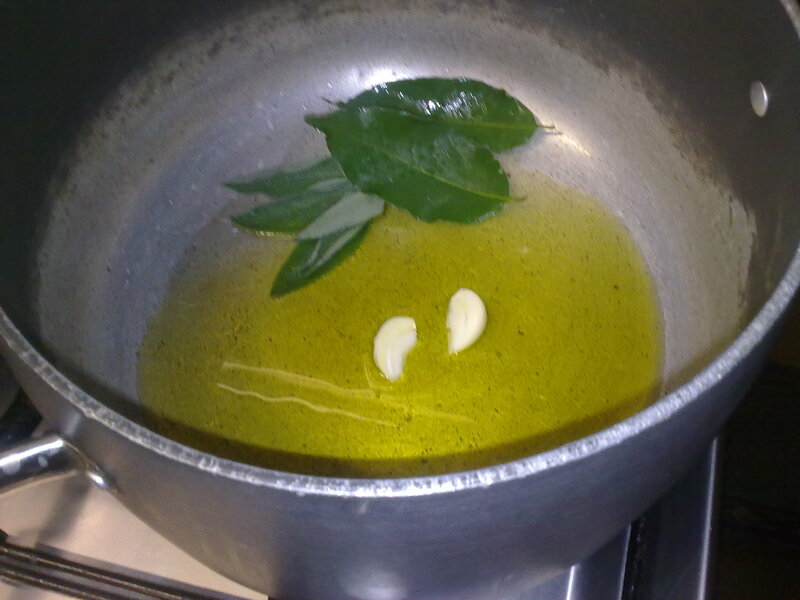 Remove the garlic, sage and laurel from the pan. 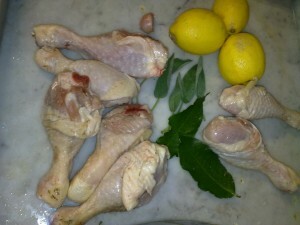 Add the lemon juice to the chicken. 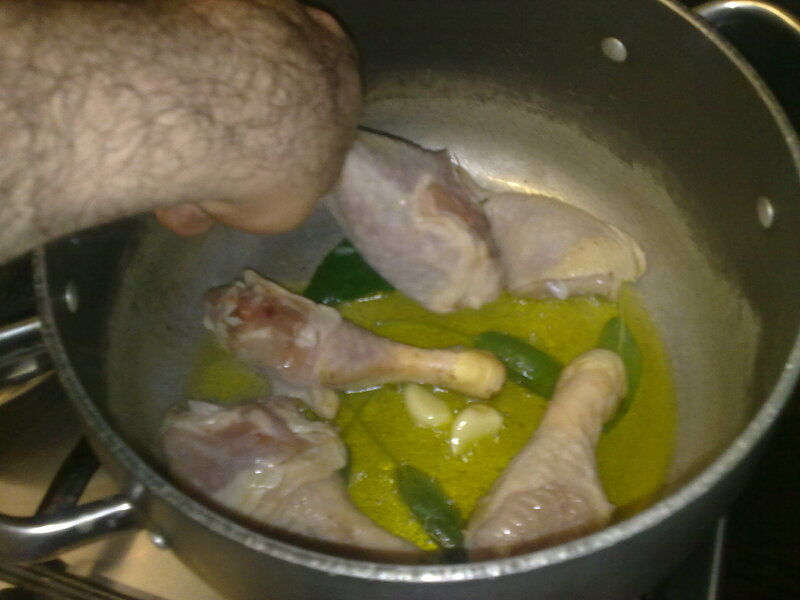 Raise the fire to medium temperature. Cook for another 5-8 minutes turning upside down every two-three minutes. 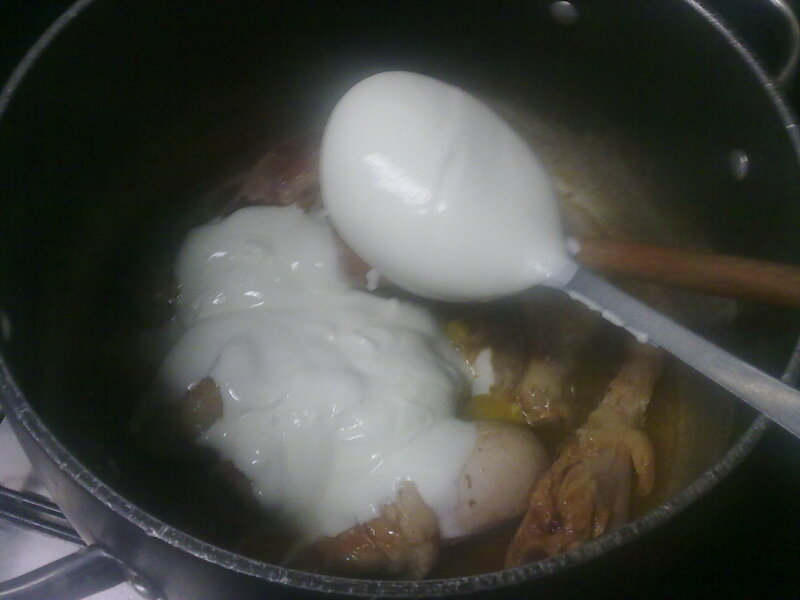 Drop four-five spoons of yogurt and stir well everything. 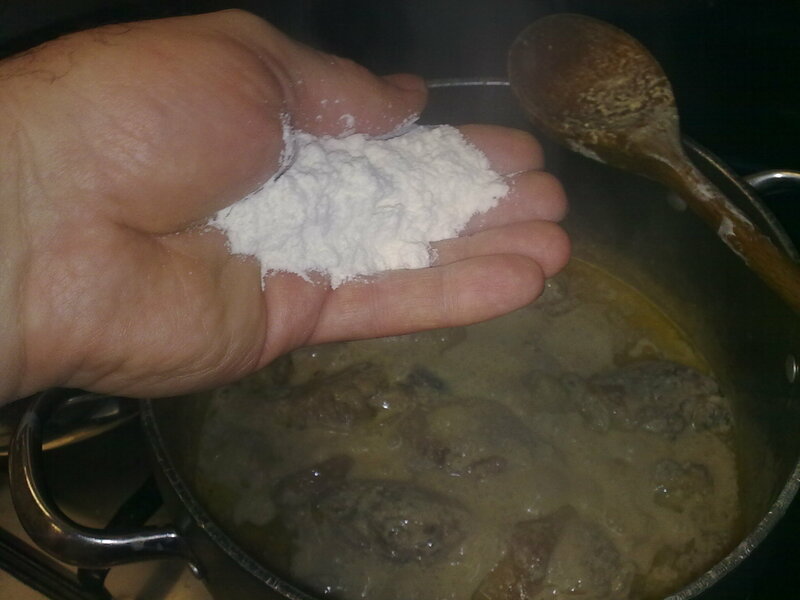 Add two-three spoons of flour (better if you pass though a strainer. 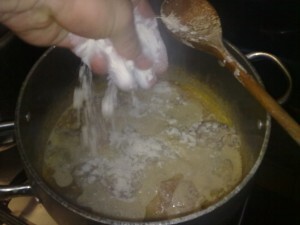 The flour will make the sauce more consistent. Stir well mixing the flour to the sauce. 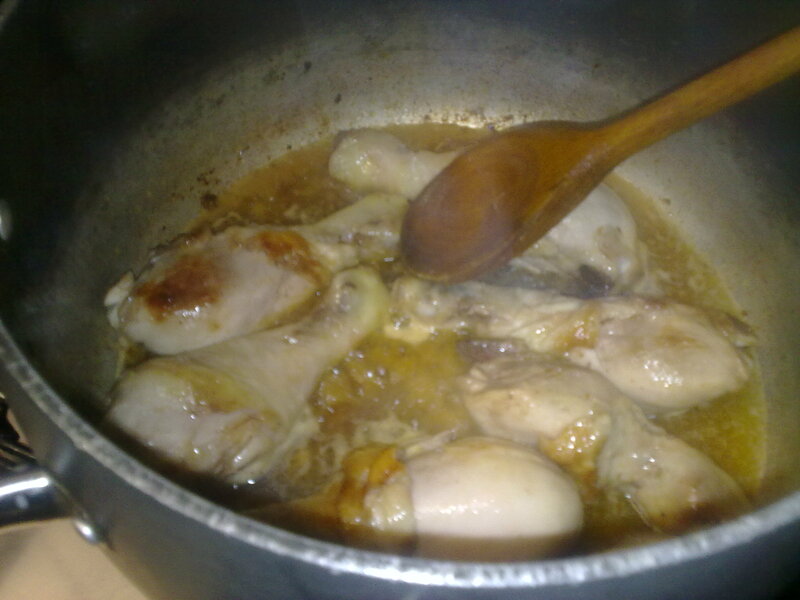 Cook until it boil and then other three-four minutes, always stirring. 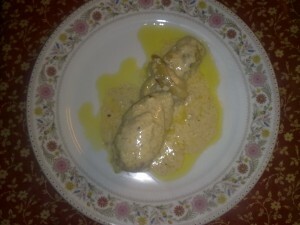 Serve the chicken with its own lemon sauce.